There are no flashy signs, no eye-catching entrance, and yet, by word of mouth, this unique cocktail bar has become one of the most talked about venues in town. Despite its posh canal-side location and exclusive décor, Ruby has a relaxed, homey atmosphere. 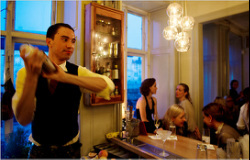 The expert bartenders greet you when entering and serve up some of the most delicious cocktails in Copenhagen. Decorated like an apartment, you cannot help but feel at home here. 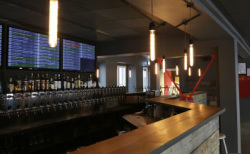 With 61 taps, Taphouse has got Europes largest selection of draft beer. They present a broad and ever changing selection of craft beer from micro breweries around the world. Their cool staff will guide you through the beer list, and that particular beer you didn't know you liked. You will find everything at this place, from the extreme to the close-to-ordinary - always with a focus on quality. Cocktail tender Gromit has ascended to stardom on the Copenhagen cocktail scene, and deservedly so. Inspired by exclusive London hotel bars, the décor is modern and stylish, yet imbued with a warmth that makes you feel instantly welcome. You can get classic cocktails and modern shakes but no fancy, out-of-this-world concoctions. 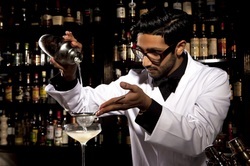 In 2010 you find 1105 on Condé Nast Traveler’s exclusive list of the trendiest, international bars and night clubs. 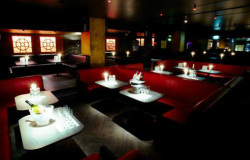 The nightclub HIVE is located in the heart of Copenhagen close to Gammeltorv. HIVE is part of Copenhagen's more exclusive clubs as Zen and Sunday, which also appears in the club's decor. The style is simple, and by all the tables you will find chargers for iPhones. Besides, the tables in the great hall, you will find two lounges and a secret table, which is stored behind a large thick curtain. Sunday is located in the heart of downtown Copenhagen right by Kongens Nytorv. The goal with Sunday is to push the boundaries for what a night out can contain. The club is equipped with a mobile scramber, which means that you cannot use your phone for calls or text message once you have entered Sunday. Sunday has a big open patio as well as a great dance floor. Music wise you can expect a good mix of electronic music, RnB, hiphop and rock. Nord, located in the city centre close to the Tivoli Gardens, is a thirty-plus nightclub with a strict door policy. 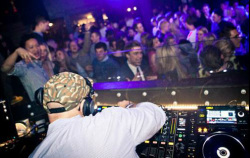 Nord plays music that matches the guests' preferences, starting out with trendy lounge music, and, as the evening progresses, escalating beats of disco and pop. Great mix of new and old. The décor is well thought out with low lounge-seating and look-good lighting. The efficient table service means you won't have to queue at the bar.